The ancient Hawaiian warriors were the battlefield fighters that would go to war for their territory and livelihood in the Hawaiian isles. Each of the major Hawaiian islands would have their own chief, and of course power and status was their priority. 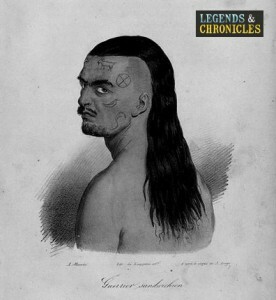 The Hawaiian elite warriors commonly known as the Koa, were the main tools for the chiefs, and were their most trained and skilled warriors. In addition to the elite skills of the Koa warriors, the chiefs would employ hundreds of infantry men and skirmish fighters to obtain their power, retain their rule and ensure the future success of their islands. 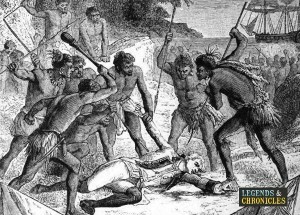 When battle would come, and in ancient Hawaii the chiefs did love their battles, they would sometimes try to settle the battle with minimal blood loss. The best fighters from each force would fight in the centre of the battlefield, a discussion would ensue and if diplomatic solutions could not be reached from this battle, then there was the potentionl for war. Of course, often a resolution was not achieved, and commonly war for power, status and glory would ensue, with the Hawaiian Koa and the rest of the warriors engaging in a bloody battle that cound last for days, weeks and months. In addition to the most well known Hawaiian warriors, the Koa, the cheifs would employ mass warfare also loosing less skilled fighters to bulk out their ranks. The Hawaiian Koa warriors were the elite fighters of the islands, and their name originated from the tree they would use to fashion their weapons, the Koa tree. Not only would the tree provide the Koa their name, it would provide then as with all their battle tools, which were vast and diverse, suitable for all types of battlefield combat. The Koa themselves, were deadly serious about the art of war, and their preparation was extreme and diligent. The Hawaiian Koa would shave their body and apply natural oils, ensuring that in a tight clinch, the enemy would struggle to get a proper grip. Clothing would be minimal too, partly due to the warm climate of their environment and for ease of manoeuvrability, for this reason the Koa would only wear a loincloth to battle. Brutal in battle the Koa would stay fit religiously, using the martial art of Lua to stay in shape. Their skills were well known, but never taught to outsiders and the Koa could use their skills to hurt, maim and break bones with ease. Told to be a mix of grappling, striking and submission holds, Lua was the key to the Koa’s success when the battle lines closed. As well as the mighty Koa, the Hawaiians would also employ standard infantry in battle. Less skilled and not as well equipped, the infantry of the Hawaiian warriors would bring their force en mass, with hundreds of warriors all equipped with pikes engaging the enemy. While the basic Hawaiian infantry were not up to the par of the Koa, they were still essential in the power struggles that existed in the ancient Hawaiian isles. Before the infantry closed quarters, the skirmishers of the Hawaiian armies would rain down projectile attacks on their enemy. Using slings and javelins the skirmishers would cause panic and confusion as they disoriented the foe and allowed the rest of the Hawaiian warriors, the infantry and the Koa to close ranks, before unleashing their deadly combat skills. The ancient Hawaiian warriors were masters of the ancient art of Lua, which was not only a martial art, but a way of thinking, being and also healing. Lua consisted of a variety of attacks, from strikes like punching and kicking, to grappling and holds. The Koa would practise their Lua using a form of dance or a kata similar to Karate, which for the Hawaiians was know as Haka. In many ways Lua is very similar to other forms of rythemic movements like Capoaira. Lua was also very elite and private, the Hawaiians and the nobles worked exceptionally hard to keep the ancient art secret by whatever means they could, the skill and art would only be shared with those the nobles deemed worthy to art the ancient art. The Hawaiian warrior weapons were if nothing else extremely diverse, from close combat hand held weapons to sling and ranged weapons, the Hawaiians had all ranges of combat covered. For long range battle the ancient Hawaiian warriors would launch missile attacks like sling shots and spears. 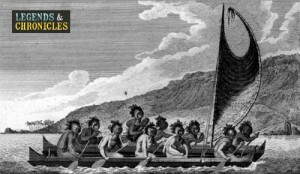 The Hawaiian spears, or pikes were massive, ranging up to 15 feet in length and could be thrown or used for closer quarter combat. When the battle lines closed, the Hawaiians were equally well equipped at a mid range, where they would employ their throwing axe that could also be used as a melee weapon if required. At close quarters the Koa could employ the laumeki spear, their clubs, wooden daggers and even knuckle dusters. Fighting up close with a Koa warrior was not something to be taken lightly regardless of your skills. Armour for the Hawaiian warriors and the Koa was not heavily favoured, their style of attacks were such that body movement was seen as a big advantage, and due to the fact the Hawaiians would typically be fighing other Hawaiians the battlefield was in essence, even on the armour front. With their unique martial arts skills, battle savvy and tactics, the Koa were able to launch vicious attacks on their foe. Before this happened though, the chief would attempt to rain down projectiles on the enemy using their skirmish ranks. When the enemy was confused and scattered the infantrymen with their pikes would close the distance along with the Koa warriors. Up close the fight would get messy, the brutal fighting style of the Hawaiian warriors and their diverse arsenal would allow them to inflict damage on the enemy in a multitude of styles. With their mastery of the ancient martial art of Lua, their battle ferocity and their diverse range of weaponry, the Hawaiian warriors the Koa were fearsome foes, not to be trifled with on the battlefield less you wished bodily harm to be inflicted upon your person.